Experience the difference in building larger additive parts in a shorter period of time. Our expertise in areas where our core customers depend on us the most. We provide unparalleled expertise in the repair, enhancement, and finishing of high-value parts. Our goal is to provide the fastest and most cost-efficient solutions while maintaining the highest quality standards. We specialize in Tool Welding, Micro Laser Welding, Laser Cladding, Laser Hardening, Laser Engraving, Stress Relief, Additive Manufacturing, Machining, and Metallurgical Lab Services. Our weld repair and refurbishment services are extensive and our customers have come to trust Whitfield for our expertise in TIG Welding, Micro TIG Welding, Micro Laser Welding, MIG Welding, and Stress Relief. We have complete Laser Services which include Laser Cladding, Laser Hardening, and Laser Engraving. Our Laser Services have been used in plastic injection, compression tool repair, and refurbishment. Find out how we can help you greatly reduce lead time. We have a full machine shop with milling, turning, grinding, and honing to take care of your project from start to finish. Relationships with other local shops allow us to further our machining capabilities as required by the project. As the plant manager of a mold making company, I know what dependable service means. All the qualities that a welding facility should possess can be found in the operations of Whitfield Welding. Their knowledge of steel and modern technology provides quick, accurate results, with the convenience of 24-hour service for welding, benching, and engraving. 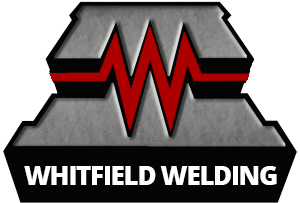 I am extremely satisfied with the way Whitfield Welding conducts their business and hope that you would have the same pleasant experience with them. Anyone looking for knowledgeable craftsmen in the steel industry, I would highly recommend Whitfield Welding. Whitfield Welding has always been Active’s preferred welding supplier. The quality of work, knowledge, and experience that your full service shop is able to provide is incomparable. The fact that you are always accommodating and flexible to our schedule adds great value to our systems and processes. We can always count on Whitfield to deliver on time, excellent, friendly, and quality service. Over the past 20 years you have been my welder of choice as a result of the level of service and quality you have provided year over year. Your Tig welding, Laser welding & Laser Engraving quality has always been consistent and you have always stood behind your work. As you know the automotive industry is very demanding and challenging however you have always come through for us to make the un thinkable achievable. In most recent time we had a rib that was 2.5” deep and 6” long that did not meet print. The choice to use laser weld was a challenging one, however the outcome was as predicted successful and in the end saved us time and money. Thank you for your years of quality service as we look forward to many more! We use all of Whitfield Welding’s tool and mold service. Their attention to detail, service, and timing are first class and keeps me coming back. Whitfield’s timing is awesome. Their professional staff have an excellent understanding of the trade and are a breeze to work with. Their quality is top notch and if I ever have a question, I have someone from their management team on the phone within a couple of minutes.